I have to tell you, I’m really excited to share a special holiday kombucha mocktail recipe with you. Having spent 5 of the last 6 holiday seasons either pregnant or breastfeeding, I’ve learned a thing or two about non-alcoholic drinking at holiday parties. We all like to have something fun to sip on, and this holiday mocktail doesn’t disappoint, especially for a special occasion or get-together. Even your friends who aren’t doing Whole30 will enjoy drinking it alongside you! 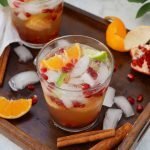 When you choose this holiday kombucha spritzer as a mocktail instead of a sugary cocktail, instead of a hangover, you’re choosing to get some of probiotic benefits of kombucha (very good for your gut health! ), the antioxidants in pomegranate, and some vitamin C in the citrus. 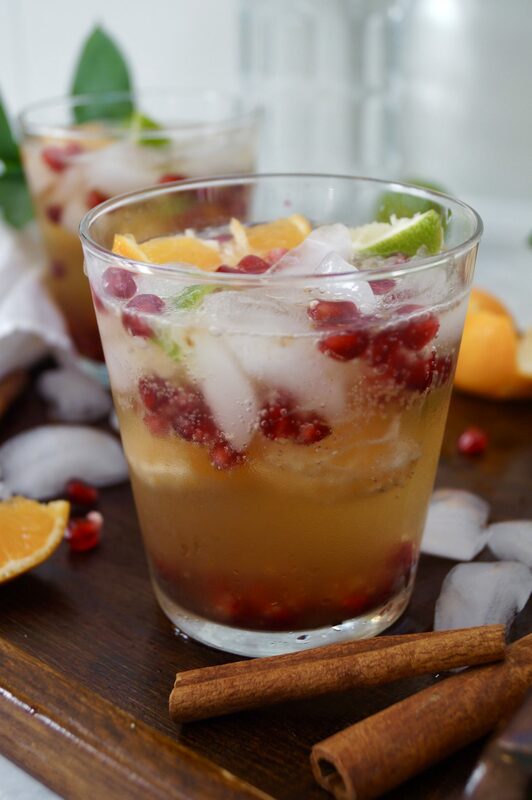 And adding some pizazz to your holiday kombucha mocktail is just plain fun, too. It kicks the flavor and fun up a notch, adding a seasonal blend of fruit and cinnamon. And did I mention I call this drink Pom-bucha? I can’t help it! I mean, really though, how could I not? Say it out loud once or twice, and you’ll never get it out of your mind either! If you’re doing a Whole30, the issue of Whole30 compliant kombucha can be a little complicated, but here’s a brief explanation to explain how to know if your home brew or favorite brand is compliant. Basically, kombucha is fermented tea, and in order for the tea to ferment, sugar must be added to it to feed the SCOBY. So, all kombucha contains sugar as an ingredient prior to the fermentation process (and since it’s fermented, it also contains a minute amount of alcohol, but it’s very small and a natural by-product of the fermentation process). Here’s the problem – Some store bought kombucha brands add additional sugar to the tea AFTER fermentation. These are non-compliant. And if you see sugar or any form of sugar on the kombucha’s ingredients label, it is non-compliant. Other brands add 100% juice after fermentation, which is totally fine and compliant. 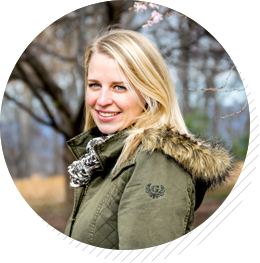 Just read your labels and it should begin to make more sense, but if you’d like some further explanation, read more on the Whole30 blog. Remember- it’s OKAY to enjoy a few fun drinks on your Whole30, so long as they don’t trigger your sugar dragon. This kombucha spritzer recipe is very lightly sweet and bubbly, but it isn’t too reminiscent of those typical sugary cocktails. And there are several other really yummy drink recipes in the Whole30 cookbooks, if you’d like to check them out! 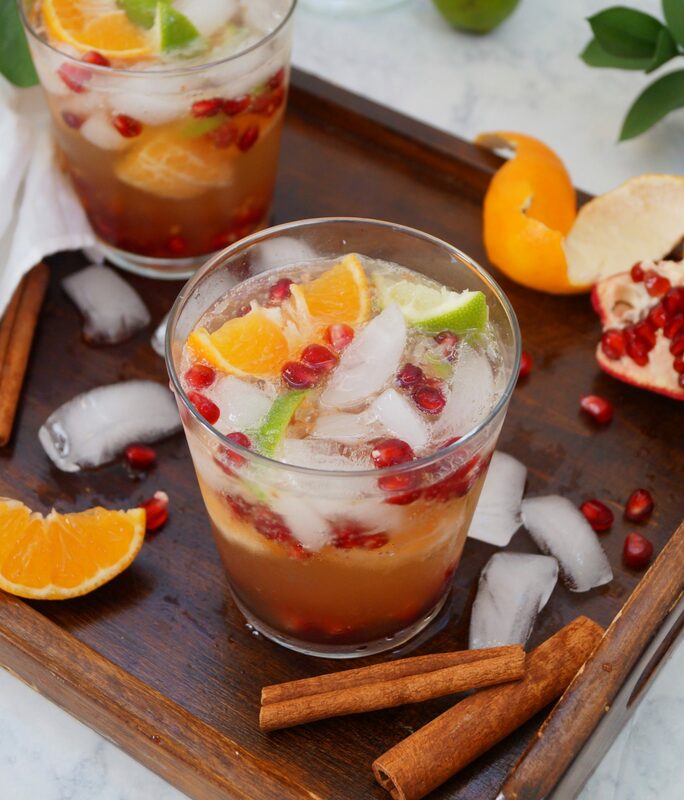 A non-alcoholic holiday mocktail made with kombucha, seltzer, fresh fruit, and cinnamon. Perfect for your holiday parties and get-togethers! 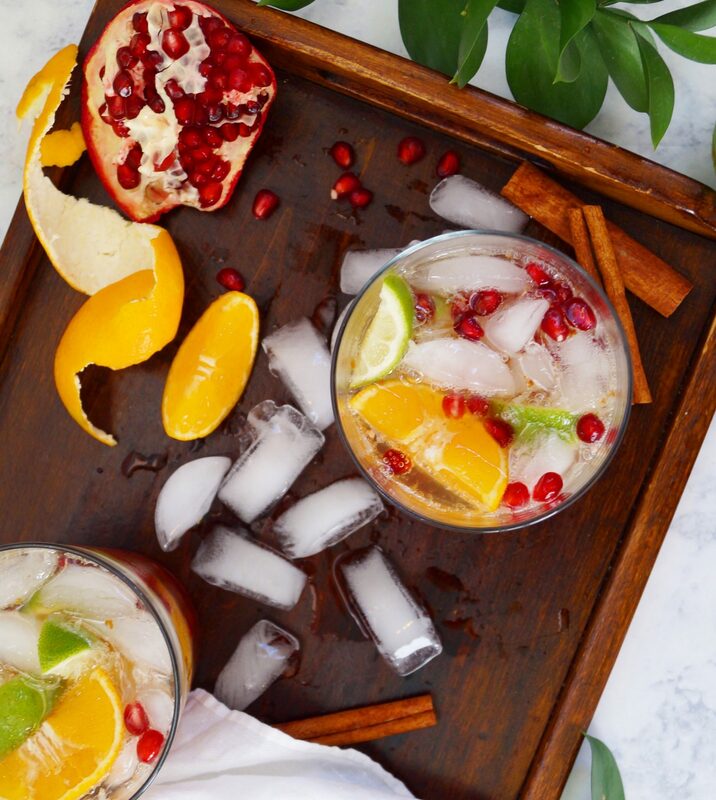 Muddle the cinnamon, pomegranate, lime and orange slices and divide evenly among four glasses. Fill each glass halfway with ice and mix, then add about 1/2 cup of kombucha in each (do this slowly — bubbles!). Top off each glass with seltzer and garnish with more fruit is desired.